Get to grips with the art of persuasive merchandising using inspirational tips from our industry experts. How do we inspire our customers to purchase our products? Can we rely upon psychological insights to inform the way we display products online? These interesting questions were explored in detail at our recent Customer Conference in a lively roundtable session that focused on the art of persuasive merchandising. The session was led by ATTRAQT expert in the field, Katie Woodhead, who drew upon the work of Professor Cialdini, a Stanford university academic and best-selling author of the much-celebrated book entitled ‘Influence: The Psychology of Persuasion.’ In the session, Katie used Cialdini’s 6 principles of Influence which are said to guide human behaviour, to show how effective merchandising strategies can encourage customers to behave in certain ways. We interpreted these principles through the lens of the visual merchandiser to provide 6 industry tested tips on guiding shoppers to make purchase decisions. As social beings, we look to others for cues on how to behave (the classic ‘herd instinct.’) Brands can bring this ‘push factor’ to life with their product displays by highlighting social likes, reviews and star ratings on product and social media pages. Booking.com does this very well by allowing customers to order the display of available hotel rooms by ‘Top Reviews,’ and giving hotels a mark out of 10 based on customer satisfaction. The brand also displays customer quotes about the hotel rooms on the hotel room product pages, which helps bring products to life with direct customer testimonials. Brands can also encourage engagement with products through social media led campaigns. Burberry, for instance, gave its app users the ability to tag their favourite Burberry products with fun emojis and stickers. This gave app users a cool set of assets that they could share on Burberry’s social channels, and across their own social media devices. Such a smart technique gets social conversations flowing, and ultimately, gets customers excited about products by tapping into the sphere of influence that social ‘tribes’ naturally foster. “As social beings, we look to others for cues on how to behave. Brands can bring this 'push factor' to life with their product displays by highlighting social likes, reviews and star ratings on product and social media pages." We are rewarded for behaving in accordance with authority figures. Using this principle, merchandisers can generate ‘expert appeal’ by producing great editorial content and curated trend-led pages that showcase products from the perspective of an expert. 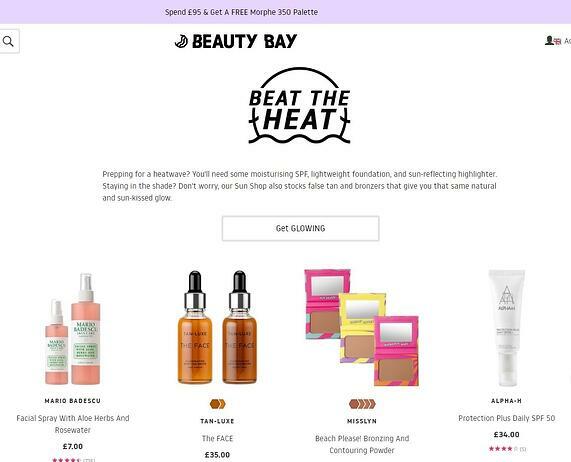 Beauty Bay does this well with its blog content, which shows customers how to apply make-up products in a variety of ways, while ranking the products that are best for different occasions, e.g. At the Beach or For the Party. Fashion brand Farfetch also does this with its designer-focused editorial stories, which bring designer fashion products to life using interviews and photoshoots with big-name fashion influencers, bloggers and designers alike. By bringing products to life using people who are respected and knowledgeable, brands stand to gain a lot of customer respect and credibility, which helps to drive better loyalty and product engagement. People are typically pushed to act when the things they want are scarce or disappearing. Merchandisers can capitalize on this by creating a sense of urgency when it comes to displaying ‘low stock’ items and time-sensitive shopping promotions. 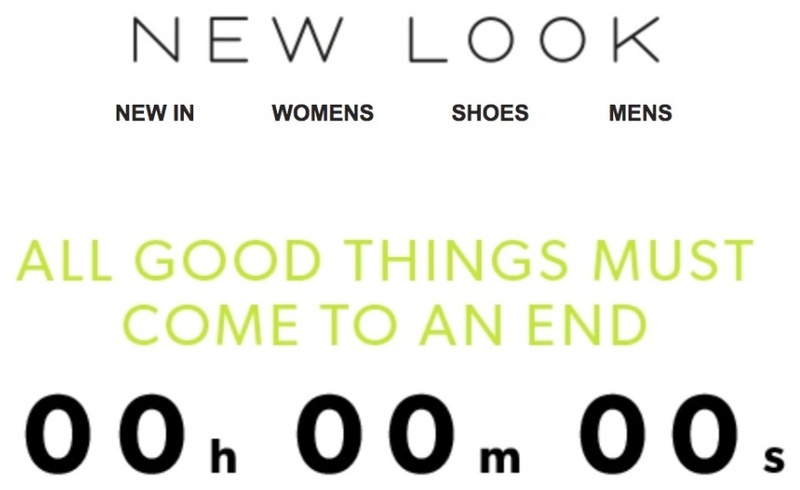 A few notable retail examples here are House of Fraser, Victoria’s Secret and Topshop, who all foster this sense of urgency with their low-stock product pages using headline-grabbing labels like ‘Only 1 left’ and ‘Just a few left.’ Other brands utilize visually engaging ‘countdown clocks’ when a key promotion is on, like New Look with its Black Friday sales event, or even Glastonbury Festivals, when the much-anticipated festival tickets hit the (online) shelves. It’s a classic tactic that temps the shopper to act in a rapid, quick-fire fashion. Individuals are more likely to act when they have something to gain from an equal value exchange or relationship. Merchandisers can utilize this mindset by offering rewards for frequent purchasers or discounts for signing up to product promotional emails. 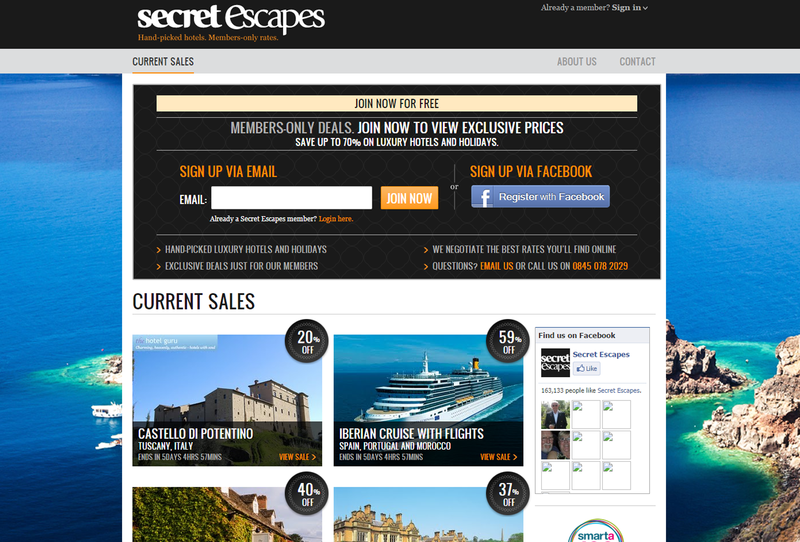 Think of premium retailers like Swoon Editions and Secret Escapes. Customers must sign up to the websites with their details and email addresses before they can access browsing, which has the dual benefit of connecting customers to amazing deals and tempting offers, while giving the brands detailed information about the customers to aid personalization and conversion. As part of such exchanges, brands also typically offer a discount incentive on the first orders and email sign-ups as a way to ‘seal the deal,’ much like H&M with its members-only ‘H&M Club’ that gives a 10% discount on first orders when you join. Shoppers act because the offers are attractive, and retail brands benefit from the endless product-placement opportunities that these mutually beneficial relationships release. “Individuals are more likely to act when they have something to gain from an equal value exchange or relationship." People like to behave in the ways that reflect their inbuilt beliefs and values. This helps individuals to build their sense of self and allows them to communicate it to the world around them. Merchandisers can help to connect a shopper’s values with their shopping choices (or their behaviour) to create this consistency by tapping into personal data that reveals specific client traits, such as what they like to buy, or what they do on site. It’s about creating relevancy in the shopping experience and helps customers to feel like their values and interests are being catered to. For example, if a fashion retail merchandiser knows that a customer loves to share their newly purchased products on social media, they can send them dedicated emails of ‘This week’s top trends on Social’ to showcase items that social influencers are wearing in their Instagram posts and blog post stories. This not only drives further customer interaction with the brand’s social channels, but it also encourages shoppers to think of new items to purchase by inspiring them with trend-setting Instagram posts from their favourite influencers. It’s about understanding what customers value, and how you can shape products and communication methods to respect and celebrate these values. A merchandiser might also use data to discover which category pages a shopper clicks on the most, so they can promote these categories to the shopper as they engage with their website. This consistent approach ensures that products are tailored to users in a way that respects and speaks to their identity and interests, which amplifies the opportunities for deeper product engagement. “When products are tailored to users in a way that respects and speaks to their identity and interests, opportunities for deeper product engagement are amplified." We also prefer to associate with people (and brands) that we actual like. Merchandisers can help to make this situation happen by speaking in a tone of voice that shoppers understand, particularly when it comes to product and category landing page language. ASOS does this well in its product copy by using spritely and street-cred product descriptors like “cute, right” to appeal to its youthful and fashion-savvy audience. Fast-fashion retailer Boohoo.com also succeeds here with its shoppable editorial pages, which always use sharply stylish images and striking headline text featuring statement slogans that appeal to its trendy Instagram-obsessed audience (e.g. Go Bold or Go Home!) The art of this tactic is developing an irresistible brand that your target customers will love by using credible copy, relevant page layouts and iconic imagery.